FIFTEEN-year-old Argentinian bred, Carbonilla, proved to be the top polo pony for Charlie Walton and helped their team to victory in the Roodee International Challenge Cup tournament. 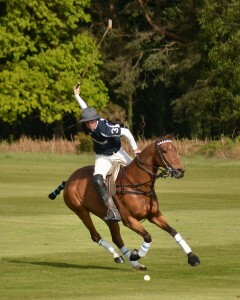 Charlie (20) is one of the most exciting young polo players in the UK and bought the former ride of Luke Tomlinson as a 12-year-old having played in the Argentine Open, Gold Cup and Queens Cup tournaments. 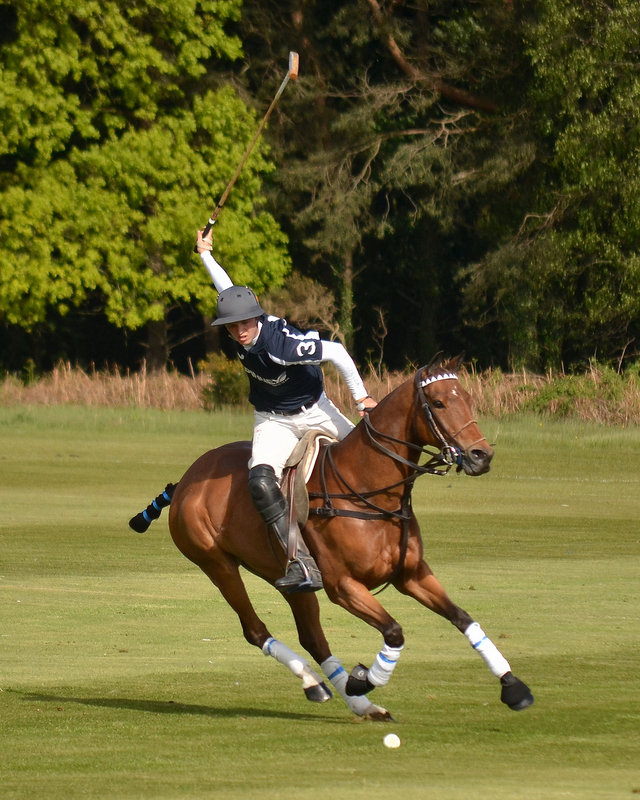 Having played polo for 10 years, Charlie has played across the globe, and with Carbonilla was part of the winning LDF Finance team collecting the coveted trophy and the £10,000 prize money. Said Charlie: “It was Carbonilla’s last tournament of the season and she was fantastic and proved to be my best pony that day. “I feed all the ponies on Equerry Sports Mix, giving them a high energy based feed to keep their energy up throughout the season. 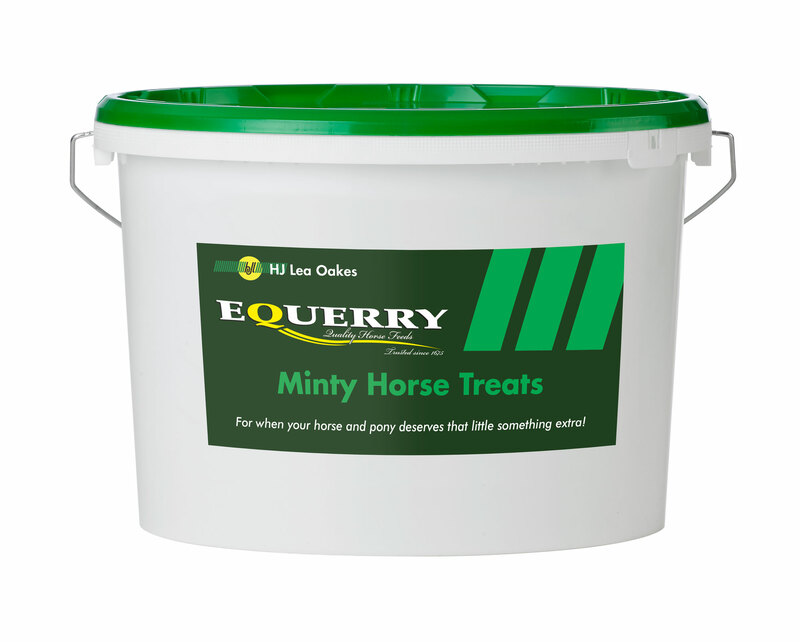 “If some horses have been played hard and travelled a lot within a couple of weeks Equerry Conditioning Cubes are added to their feed to provide more protein in their diet to aid recovery. 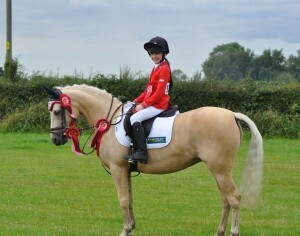 ELEVEN-year-old Scarlett Cox is having a fantastic season with her 13hh Palomino mare, Lillibet, who is looking and going better than ever since being fed on Equerry. Lillibet was given to Scarlett’s mum, Emma, as a five-year-old, she had been backed and “written off” after being labelled as a big, lazy and stiff pony with no training. Over the last four years Emma has been working hard to produce the pony for her daughter, Scarlett, and after several jockeys had declined to ride the pony in the early stages of training, Scarlett took up the reins at the start of the year. Equerry has played a key role in the development of Lillibet, positively influencing her condition, temperament and vitality. Said Emma: “Equerry feeds has made a massive contribution towards producing Lillibet. She holds her weight and looks in fantastic condition all year around with the support from Equerry Conditioning Mash and Equerry Conditioning Cubes through the winter and Equerry High Fibre Cubes in the summer. The products help to keep Lillibet looking in good condition, full of health while maintaining energy for a naturally lethargic pony! “With the support from the nutritionists and the range of feeds at Equerry, we have been able to balance the feeds to cater for Lillibet, depending on seasons and requirements. Through the summer Lillibet can hold grass which impacts on her energy levels, so we balance the Conditioning Cubes with High Fibre Cubes and reduce the Conditioning Mash. This blend provides enough energy for Lillibet without gaining too much weight. 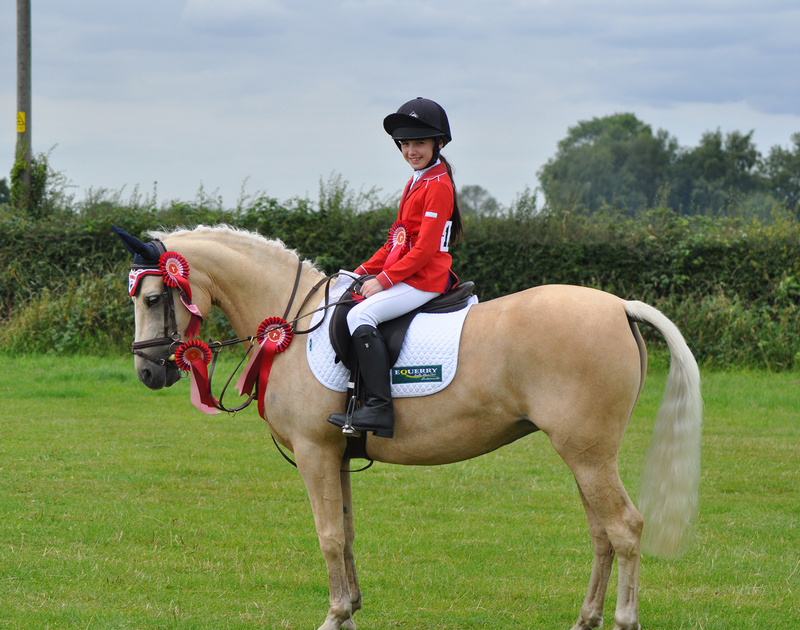 Scarlett and Lillibet are currently leading the points in the Antrobus Riding Club 60cm, 70cm and 80cm showjumping league as well as the Working Hunter championship. They recently won four out of four working hunter classes at the Bridgewater Riding Club Championships and went ring champion. Scarlett is hoping to have a go at eventing next season as well as county Working Hunter classes and the national British Showjumping Stepping Stones competition. Equerry Horse Feeds Senior Nutritionist, Louise Jones provides some advice when it comes to feeding treats. You hear so many mixed views on giving horses and ponies treats. As a nutritionist do you feel they should be limited? Everyone enjoys a treat once in a while and your horse is no different. Whether as a reward, or just because you love your horse, there’s nothing wrong with feeding them a small treat every now and then. Apples and carrots are the most popular treats amongst horse owners. Contrary to popular belief feeding a fresh carrot or apple will not provide the horse with too much sugar. In fact, fresh carrots contain approximately 5% sugar, which is less than would be provided in hay. 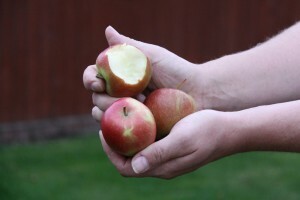 However storing fresh fruit or vegetables can be a pain; as it tends to rot and can attract vermin. 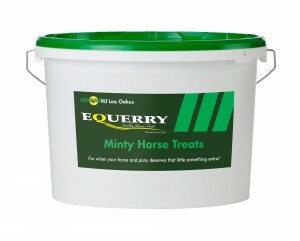 Equerry Minty Horse Treats are the perfect alternative. These low sugar treats combine the natural goodness of peppermint and spearmint and are completely cereal-grain free. Available in convenient 1.8kg tubs, they are easy to keep fresh and perfect to take with you in the horsebox. Some horses can get too pushy if regularly fed treats by hand, in these cases it’s safest to put the treats in their feed bucket. Finally, remember that there are certain foods that aren’t suitable as treats, for example: chocolate, which contains banned substances (i.e. caffeine and theobromine). Equerry Horse Feeds are the latest company to confirm sponsorship at the exciting Equestrian.com Liverpool International CSI**** Horse Show. Leading industry players have recognised the benefits of supporting this new venture which takes place at the fantastic Echo Arena in Liverpool – January 1 to 3, 2016. 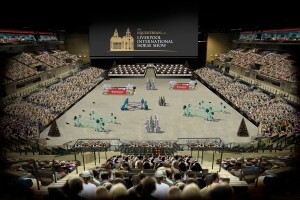 This New Year equestrian extravaganza includes the £45,000 Equestrian.com Liverpool International Grand Prix as well as many other top-level show jumping classes. The Equerry Horse Feeds 4* 1.45m Speed Class takes place on the Sunday afternoon performance and is set to get the audience clapping and cheering as leading competitors vie for the excellent prize fund on offer. This star studded equestrian extravaganza will provide a wonderful New Year celebration and open Olympic year with a bang! Liverpool International Horse Show promises to be an action-packed event, with fantastic shopping, great competition, thrilling entertainment and great food and drink.